SAES Group is the strongest vertically integrated player in the Shape Memory/Nitinol Alloys arena. Memry Corporation’s Nitinol capabilities proceed from our primary melting and mill products manufacturing center in New Hartford, New York, where our engineers melt Nitinol alloys into ingots ranging from 30 to 4000 pounds. Decades of melting experience translate into a wider choice of alloys, as well as greater quality control and design freedom. Memry is among the largest melters of Nitinol, but also the most highly specialized when it comes to test melts of experimental alloys and superalloys. We also convert superalloys to a wide range of mill products. 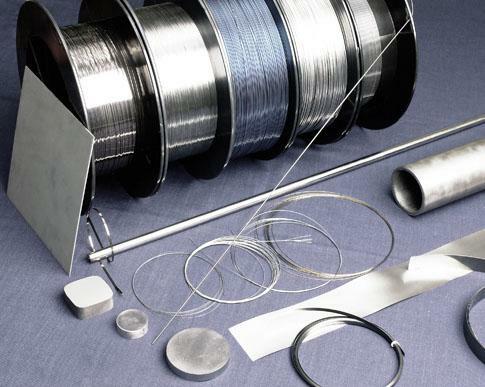 Materials science, along with the invention, development and production of Shape Memory Alloys/Nitinol, is a core competency at Memry, and one which we are committed to deepening. Our traction with the chemistry of raw materials—Nitinol alloys and superalloys as well as mill products—translates into an agile production capability in semi-finished forms like tube, wire, sheet, strip.